A monkey’s grip gets him into trouble. Monkey trappers will use nuts, bananas, or melon seeds to lure a monkey into their trap. The workings of the trap is brilliant. And because they know monkey nature (yeah, you know, verses human nature) they know just how to get them. A small hole is drilled into a coconut just large enough for the monkey’s hand. Some catchers use a bottle that’s too heavy for the monkey to run off with. Plop, plop. In goes the food (apparently monkeys and my boys have the same brain- they are all food dudes). Then, the bait patiently waits for the little primate. I’m sure the trappers get a swirly whirl in their stomachs waiting for the entertainment to begin. And like magic the monkey’s snooping ends up in a monkey dance whooping. He doesn’t have the intelligence to let go of his prize. So he screeches, flips, and flies around his fist. That fist that won’t let go. Oh, the glorious monkey trap. As a kid I remember being lured into such a trap. Except they called it a Chinese Finger Trap. No one told me the consequences of sticking my fingers in each end. Of course they didn’t tell me the secret- it would have ruined all of the fun. Just the prize guy and my dad exchanged glances and a smirk. Yes, you want to spend your lucky shot tokens on this pretty zip-zagged watermelon pink and blooming blue thingamabob. It was the nuts, banana, and melon seed trick. And soon I was in a panic. I was shy so the screeching and flipping and flying around my newly cemented finger bridge was only internal. My wide eyes and shallow breathing told all. And the more I struggled, the more I couldn’t let go. I didn’t suffer long as my dad chuckled then shared the tip to loosen the grip. I just needed to push my fingers together. Just let go. I guess I should share that tip with the monkey. Poor guy. This is just the quick and easy way to work on what you have already perfected. It’s the easy way out. We are experts at snippets of things in our life, and that is good. But, are you following your passion to write? It takes work, discipline, and determination. You can do it. Let go of what you are already good at and start working on your passion. And yes, some things will flop. But, schedule in a make-up guru day. Maybe you are a full-fledged writer and you have been working hard. But, you find yourself in the research trap. You have been spending your time researching how to write or what to write. You are caught up in doing it perfectly or knowing everything before you begin. I know how you feel. I was in this trap for a very long time. One day I just realized that I needed to loosen up the keys on my keyboard and stop feeding my eyes and brain- my fingers were getting weak. There comes a time to spew. And that’s just what you do. Put your thoughts on paper or screen. Schedule it in. Monday, Tuesday, and Wednesday I write. The rest of the week I can work on research, thinking, etc. But, whatever you choose to do learn to let go of not knowing everything. The rest will come as needed. You can’t be a writing giant overnight. And remember, you can fill in the holes later. We all carry around our ideas of what success is. And maybe it’s not all the same for everyone. Being a best seller doesn’t qualify you for being the only great writer on the planet, it just gives you tangible accolades. Meh. Maybe what you are doing actually is working; you just can’t see it. One of the best advices I got was at a book signing from Lisa Mangum. She told me that not everyone loves writing books so do what you love. I love to write articles. It’s my thing. Once I realized this truth my writing took shape. Maybe you love editing, or reading, writing family history stories, or blogging, or encouraging and critiquing; or writing small market novels. They are all needed in the writing world. Do what you love. Figure that out. But, don’t stop shy of becoming what you want: a writer. Just don’t hold so tightly to the idea grip that you fail to see where and how you truly are making a difference. Let your writing take you to where it’s meant to be. Don’t give up, just don’t be surprised when you find a new path in your writing world. Embrace it. Boy, oh boy have I had to learn to give up on this. There comes a point in everyone’s writing where they must say “good enough.” It’s a tough thing to do. I’ve winced when I’ve hit submit. I just immediately shut down the computer and walk away (yes, running away is sometimes a better option). But, I’ve been surprised when it was these articles that had the best feedback. How is that so? Maybe we can overdo. I’ve been to a party where we were showered with meaningful gifts. At first it was fun but then it got tiring and less meaningful with each overdone present. I’ve learned in my writing to have less awesome; more wow. Strange, I know. But it works. I’m not suggesting that you don’t work hard on it because hard work always has its benefits. And lack of work is evident in any writing piece. I’m suggesting to work hard until an appointed deadline. Deadlines are just scheduled stopping points. At that point you say it’s good enough and move on. It’s okay to wince a little. Let go of your perfection grip… otherwise you’ll just be doing some crazy whooping monkey dance around that fist. Don’t just get that swirly twirl in your stomach waiting for your writing to fulfill your life. Let go and start swinging in the trees. 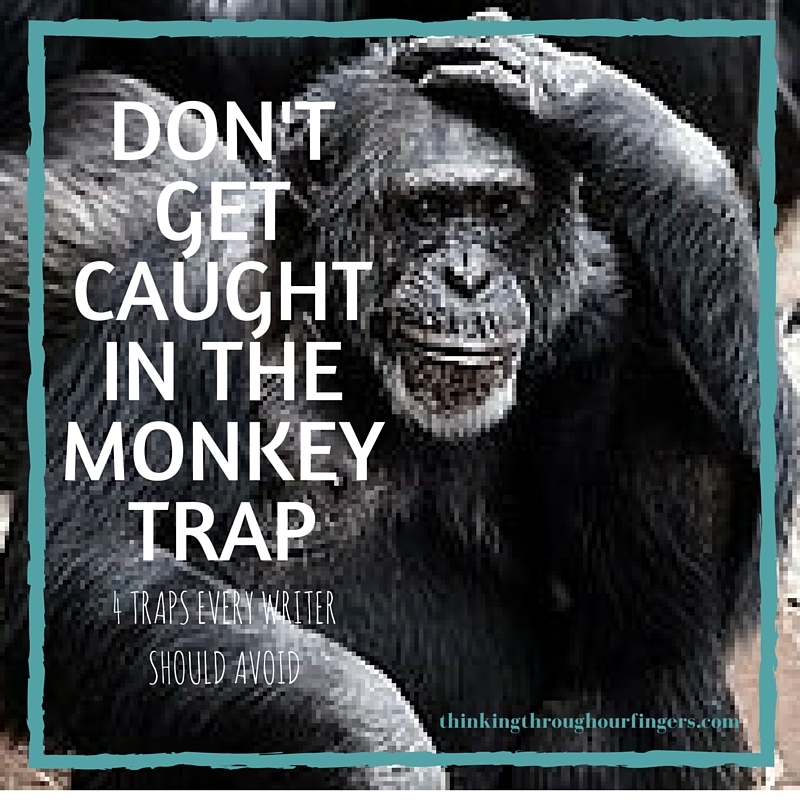 Start monkeying around in your writing- just don’t get caught in the monkey trap. What kind of grip keeps you from letting go? Christie Perkins is a survivor of boy humor, chemo, and faulty recipes. 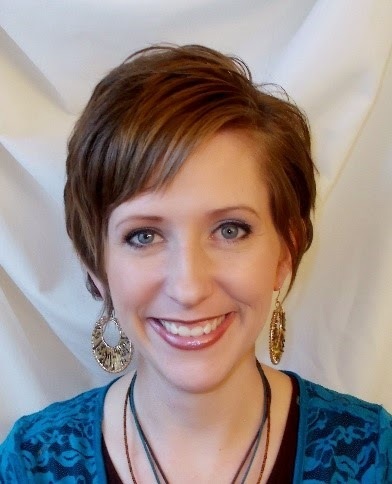 She loves freelance writing and is a nonfiction junkie. A couple of national magazines have paid her for her work but her biggest paycheck is her incredible family. Christie hates spiders, the dark, and Shepherd’s Pie. Bleh. Mood boosters: white daisies, playing basketball, and peanut butter M&M’s. You can find out more about her at howperkyworks.com.